I love baking cookies. It’s one of the things I really look forward to each holiday season. I usually set aside a day or two and bake up a storm. Since it’s just me here, this leaves me with a lot of cookies. Thankfully, my mom and grandma are able to take some off my hands. Unfortunately, for some of you, this tradition of making a beautiful variety of cookies may have become a dreaded chore. Well, not any more! This year consider having a Cookie Exchange Party. Here’s how it works. When hosting a Cookie Exchange Party, you bake up one big batch of a particular type of cookie (or fudge, chocolate covered pretzels, candy, etc.) as do your friends. Then everyone joins you at your house with a large supply of treats. During the party (after sampling a few cookies, of course) you swap cookies and recipes. When you leave the party, you have a huge variety of holiday treats and you only had the stress of baking one item. Plus, you’ve had a chance to get together with family and friends. Isn’t that what the holidays are truly about? Spending time and making memories with loved ones. A Cookie Exchange Party will give you a selection of great treats and a new holiday tradition! Sounds pretty fun, right? So whether you are considering holding a cookie exchange or doing all the baking yourself, I found 12 fabulous cookie recipes that will leave your guests satisfied and impressed. Some are classics and some are new favorites. 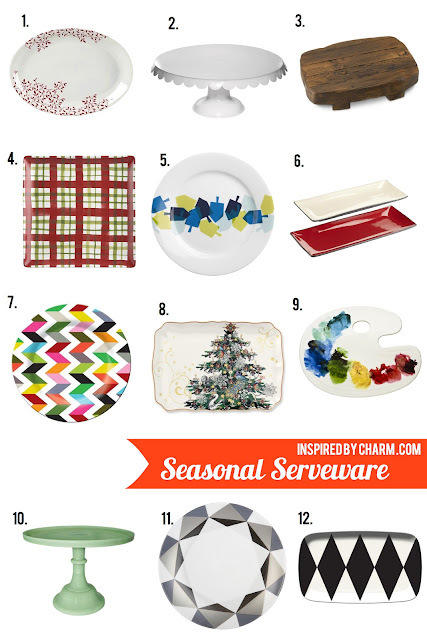 I also took things a bit further and created a little round up of my favorite holiday-inspired platters, trays, and cake stands. I mean, if you are going to all the trouble of baking these delicious treats, you want them to look as scrumptious as they taste, right? You could even fill one of these delightful pieces with a variety of homemade sweets and you’d have an instant gift. Too perfect! How do spend time with your family and friends over the holidays? Do you host a cookie exchange? What’s your favorite holiday cookie? 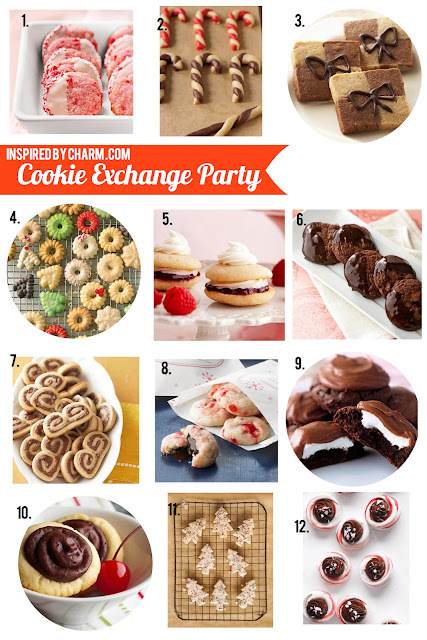 A cookie exchange is so much fun but a lot of work (well if you are party freaks like we are). We have hosted one for three years in a row. Always had a theme and made a cookie cook book for everyone. After three years we have given up. Ask for the recipes a week ahead of time so we can print them for everyone; most people late in getting them to us. Other people tell us “I don’t bake”. We say well then sorry don’t come. Really?